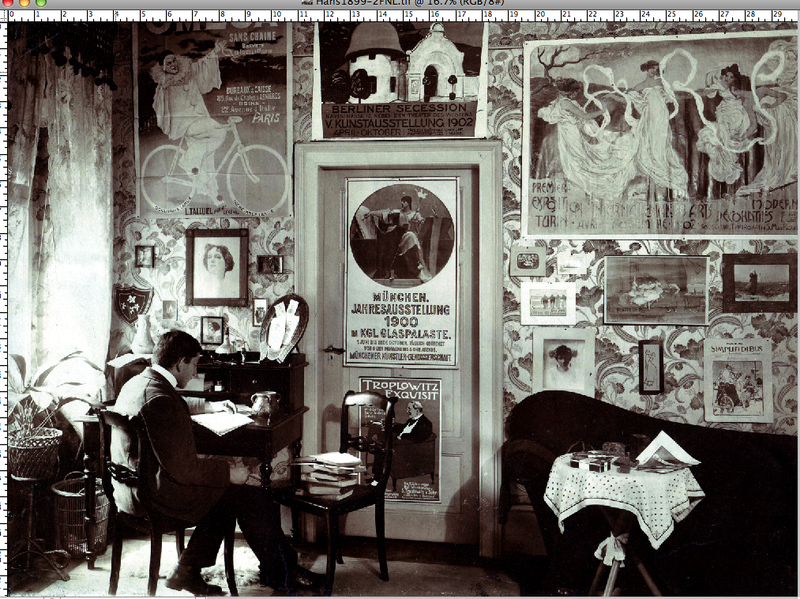 Hans Sachs left this earth without knowing what happened to his beloved poster collection. 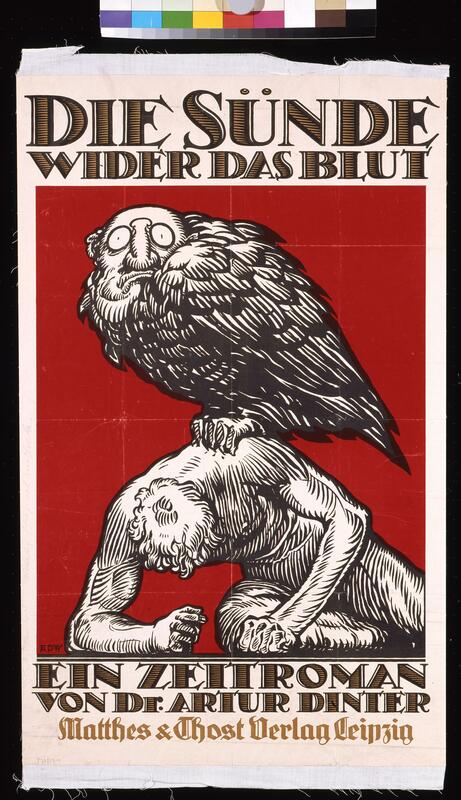 In 1898, when Sachs was a teenager, he began collecting posters in Berlin of advertisements, political propaganda and rare pieces by famed artists such as Cheret, Kandinsky and Lucian Bernhard. His passion for graphic art was so serious he amassed 12,500 posters and a separate collection of 18,000 tins, postcards and theater programs reflective of this art form. He kept them stored and on display in a specially built room in his home. But one fateful day in 1938, Nazis swooped in and forced Sachs to pack up and load his entire collection in trucks waiting outside. His collection was swept away. When Sachs was later thrown into Sachsenhausen Concentration Camp, his wife Felicia made a convincing plea to have him released. Shortly after, he, his wife and their one-year-old son Peter fled Germany to live in the United States. In 1966, Hans Sachs learned that some of his collection had emerged in East Berlin, but he failed to reclaim it. 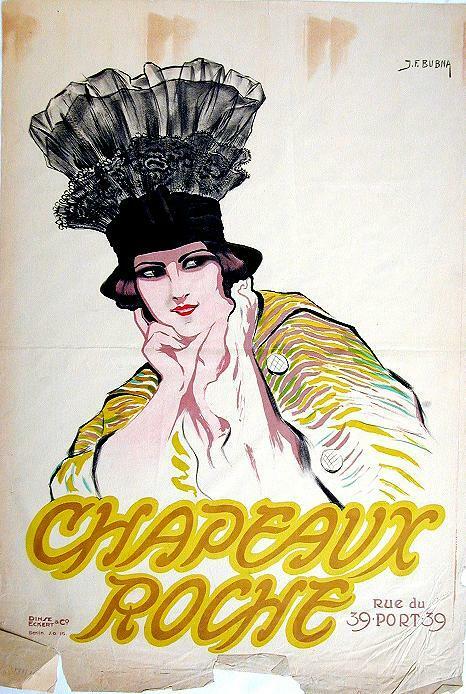 A Harvard-educated dentist and world leading poster collector, he died in 1974. “My father never discussed what happened to his posters, but he always expressed his love for the art form,” wrote Peter Sachs from Las Vegas, and until recently, was a longtime Sarasota resident. In 2005, Peter Sachs unlocked the mystery of the whereabouts of his father’s posters. He did what many do online when a question arises. He Googled it, resulting in the discovery that the German Historical Museum in Berlin had archived and displayed a portion of his father’s collection since the fall of the Berlin Wall. He sought legal counsel, hired a law firm then launched a painstaking seven-year battle to reclaim his father’s posters from the German museum. The case went all the way to Germany’s high court, and in October 2012, Sachs was finally awarded 4,344 posters, nearly 74 years after they were confiscated. “It was a bittersweet victory. I felt vindicated by the German High Court ruling, but my father didn’t live to see his beloved posters returned to him. I also thought the German government behaved disgracefully during the whole process,” he wrote. Now with the posters intact, Sachs has graciously allowed the Jewish Museum of Florida-FIU to showcase 21 of them as part of an exhibition running through December 2013. And so they are in all their glory with rich, vivid colors still intact. Visit www.jewishmuseum.com for more information. In 1887 Marcus Weinkle’s loving parents buried him alive. That act likely saved the 13-year-old’s life and certainly set in motion an odyssey that took him from his native Russia to, eventually, Central Florida. His story – and that of countless other Jewish immigrants with a Florida connection – comes alive in the Jewish Museum of Florida-FIU on Miami Beach.